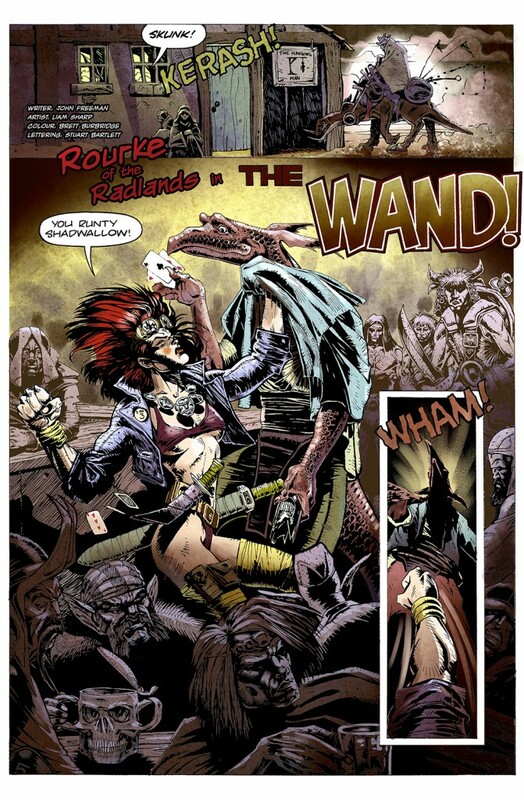 Inside issue 16 of 100% Biodegradable: Hard drinking, hot tempered sword and sorcery shenanigans in Liam Sharp (Wonder Woman, X-Men, Batman) and John Freeman’s ‘Rourke Of The Radlands’. 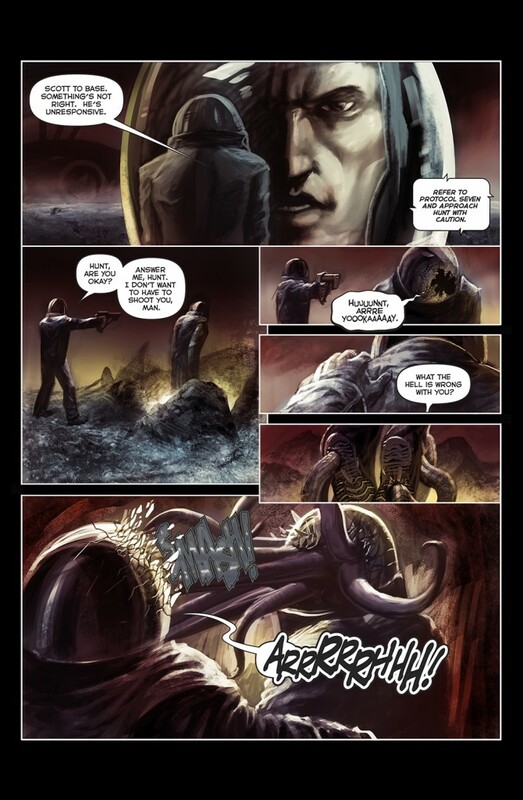 A Mars base gets infected by a deadly alien parasite in Paul Bradford (Octal, Hallowscream) and Luciano Fleitas’ (H-alt, The Chronicles Of Terror) haunting sci-fi tale ‘The Ides Of Mars’, the crew of the Skow 709 run a gauntlet of ancient alien deathtraps in the second part of ‘Skowdogs’ – a brand new 8 part series by John Freeman (Judge Dredd Megazine, Crucible) and Dave Thomson (The Psychedelic Journal of Time Travel, Dr WTF?). 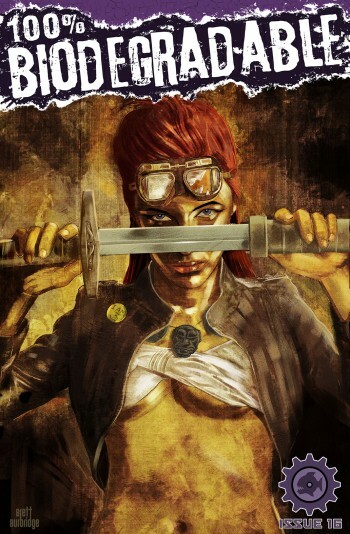 Switchblade gains a new client as giant mutated germs infest the city in the second part of a 3 part series by Alan Burrows (Eagle, 2000ad), Paul H.Birch (Toxic, Creepy Kofy Movie Time) and Steve Harrison (Fast Car magazine, The Sunday Sport) All this, and more!